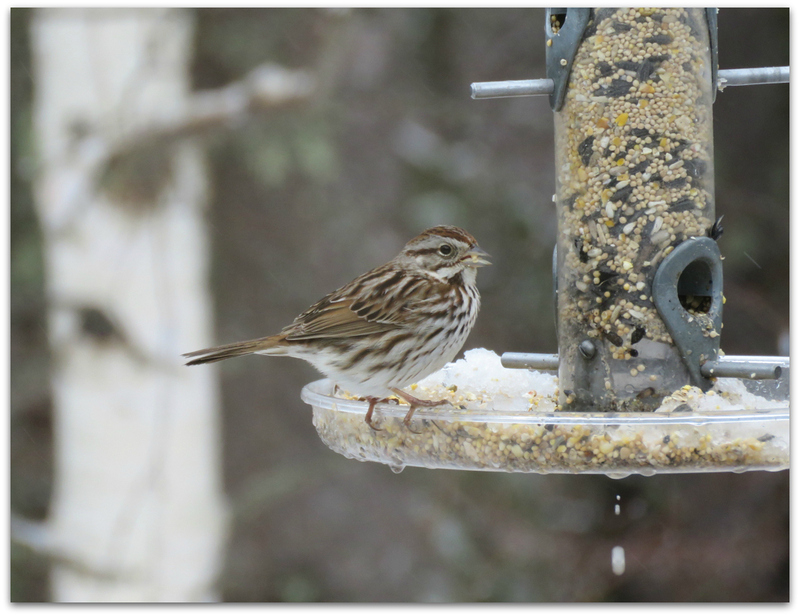 Song Sparrow a couple of days ago, during yet another snow event. There are many song sparrows now, occasionally at the feeders but mostly scuffling around on the ground. As I post this at 6:30 a.m. Saturday morning, I can hear them singing… quite loudly. We are hitting that time of year when it’s impossible to sleep through the dawn chorus. Not that I would want to! 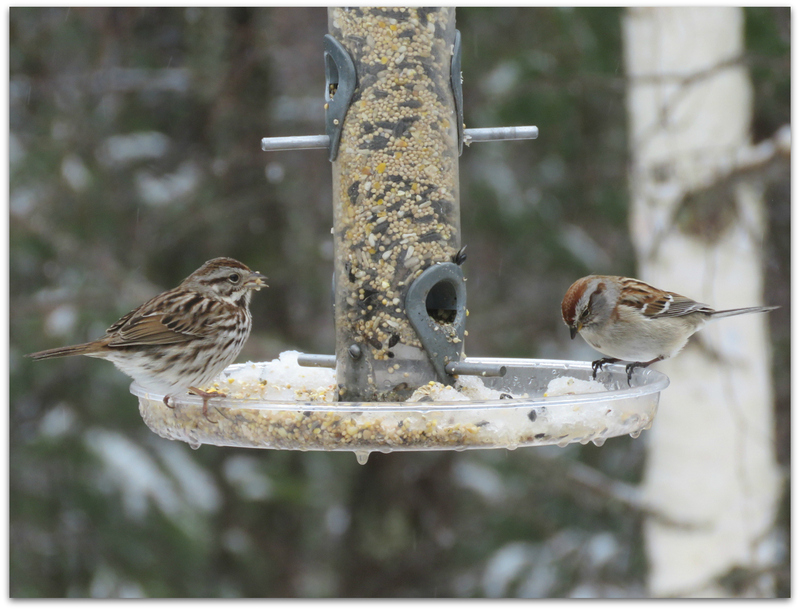 Song Sparrow and Tree Sparrow. The tree sparrows, daily winter visitors, will be leaving soon to fly north. Adios, amigos. One by one I am learning my sparrows. 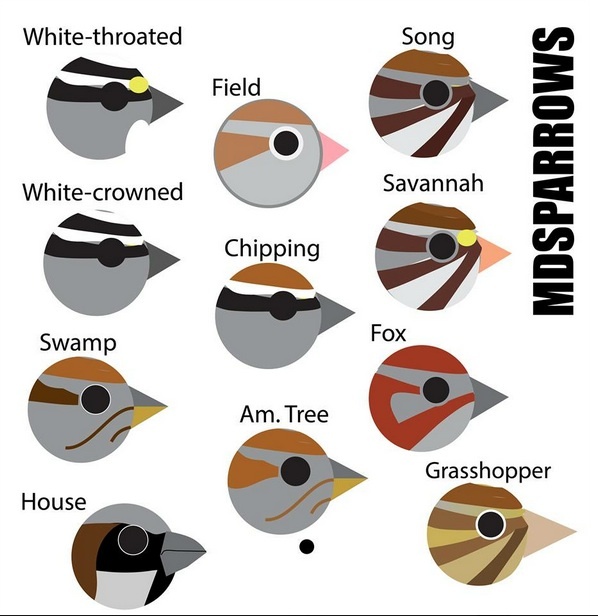 Discovered via Prairie Birder: BirdFaces! Tempted to buy one of these BirdFace coffee mugs for my bird-friendly coffee. Birds are a good way to start the day. 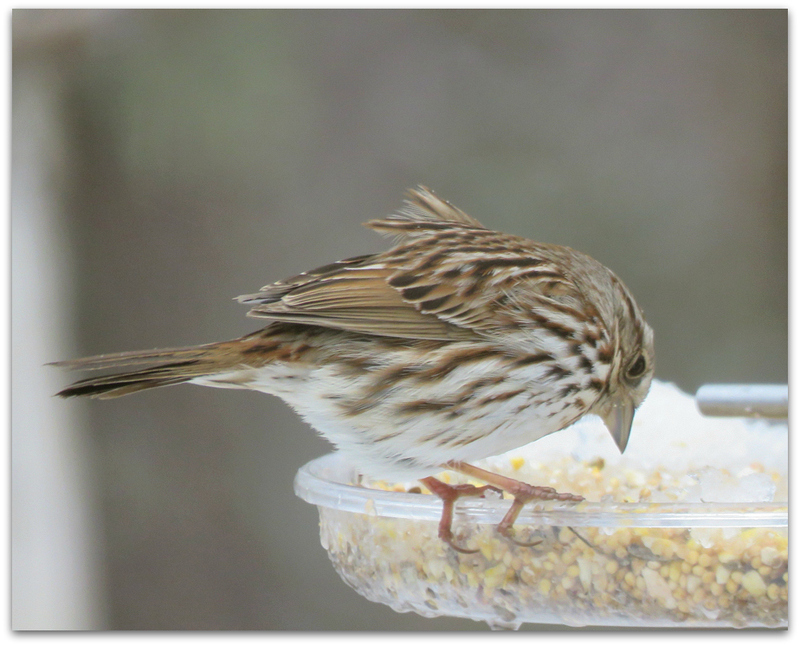 This entry was posted in Uncategorized and tagged American Tree Sparrow, Song Sparrow on April 11, 2015 by Amy.